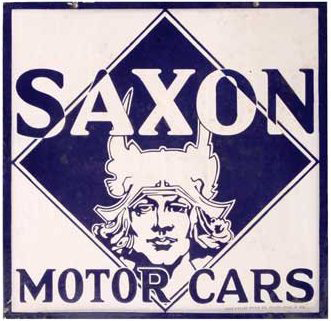 This is a square Saxon Motor Cars porcelain sign. This particular Saxon Motor Cars sign is blue and white. It reads, “Saxon Motor Cars” and features a man’s face inside of a blue diamond in the center of the sign.